Cuba‘s entry into the Human Rights Council makes the Latin American and Caribbean slate (GRULAC) a competitive race, pitting the government against Mexico and Uruguay for the two available slots this year. Cuba’s decades as a single-party Communist state with limits on the freedom of its own people would of course appear problematic for a country seeking to serve on a body designed to preserve and promote human rights around the globe. In this respect, it resembles similarly flawed HRC candidates such as Russia and China. Yet despite decades under the rule of Fidel Castro, it served on the Council as a founding member from 2006-2009, and was re-elected to serve a second term ending in 2012. (Mexico and Uruguay also served during these terms.) The rules of the Council required it to step aside after two consecutive terms. The government notes the progress made on its Universal Periodic Review and stresses its commitment to implementing recommendations from the Review process. 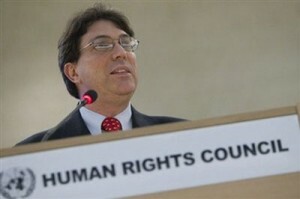 Unlike a number of other candidates’ notes verbale (including its regional competitor Mexico) Cuba’s does not list accomplishments during its earlier tenure on the Council, focusing instead on a vague and not undisputed record on human rights. 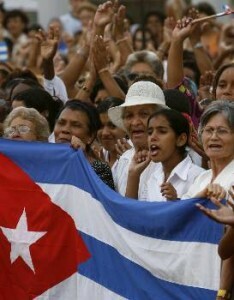 Nor does it provide a list of core human right instruments which Cuba has ratified. It was only following Fidel Castro’s resignation that the government ratified the Covenant on Civil and Political Rights and the International Covenant on Economic, Social and Cultural Rights, widely considered the core documents of international human rights law. It has yet to ratify either. In just over a month, members of the UN General Assembly will decide whether to provide Cuba a third term on the Council or return Mexico and Uruguay to the Council instead. As with the Asian candidacies, the competitiveness of the GRULAC slate is making this election one to watch.